It's finally snowing outside and we have been busy in the shop. The 1963 Galaxie Convertible has received it's complete mechanical overhaul and is leaving with her owners in the coming days. 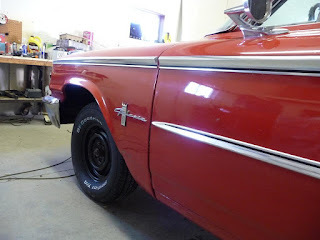 This project was specifically to have the car a fun to drive and useful car that will bring back fond memories of cruising the roads 30+ years ago for the owners. There was no actual cosmetic body work involved on this project. A light buffing and polishing is all that the exterior paint had done. The underside of the car was touched up in spots and the frame needed some light work. Once all of the chassis work was completed the full underside of the car received a protective black under coating. All of the mechanical, electrical, brakes and suspension were re-vamped and brought back to working order to meet modern day standards. We also went over the interior of the car and gave it some creature comforts like a new am/fm hidden radio and 2 additional speakers below the rear seats. All of the upholstery is now back to new including the convertible top, front and back seats, door panels and carpet.When you are sitting in the car it looks and smells just like it recently came off the show room floor. Still in progress, buffing the lacquer paint brought it to a pretty good shine considering it's the original paint. 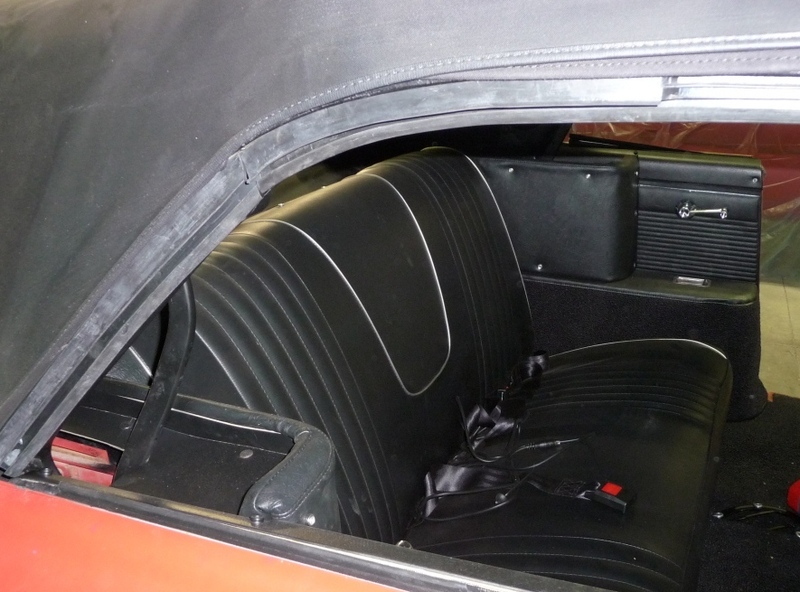 New upholstery and the new convertible top really bring the 63 Galaxie back to life. Here we are finishing the installation of the rear seat belts. 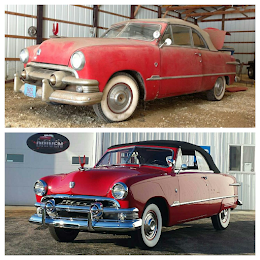 We currently have projects booked through the winter including a 1953 truck cab for welding and fabrication, and a 1967 Mercury Cougar assembly and final mechanical work in addition to finishing the 1965 Ford Galaxie Fastback which is for sale upon completion. That is just the list for the next 2 months. We have openings after May of 2013 with occasional availability prior to that. Feel free to e-mail us with questions on your project.